What Is the Correct Manual Invoice Validation Process? Invoice validation is necessary for any business; it involves cross-checking charges received or billed with amounts paid or received. Most accounting systems are automated, but there are times when it may be necessary to manually validate invoices. Small businesses may manually validate all invoices, which works as long as there is a system of checks and balances to curtail employee dishonesty. One employee should compile invoices as they arrive, separate them by vendor and ether verify them personally or forward them to the employee in charge of the individual account. Whether an invoice is valid depends on several factors, so it is essential that they each end up in the correct location. 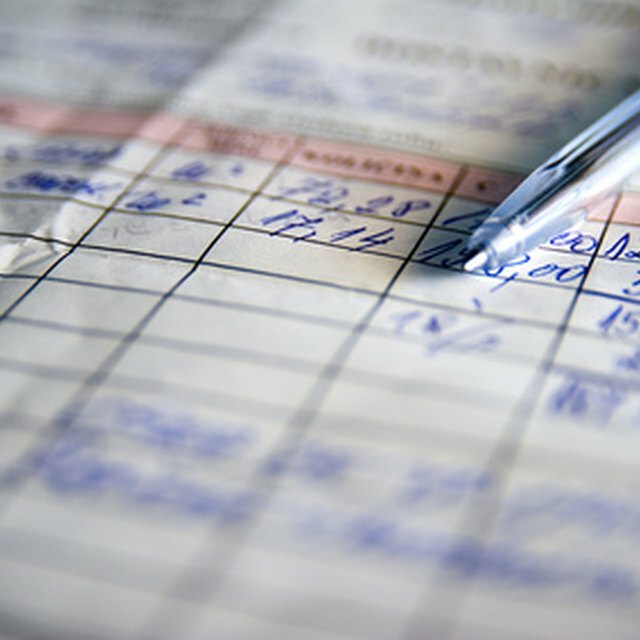 An employee must then check each item, record the bill and forward the invoice for payment. Individuals responsible for validating invoices should never have access to funds for payment. All outgoing invoices should be checked for accuracy before mailing. While one individual or department may be responsible for entering items, including sales and service charges, allocated labor costs and any materials and supplies used for a particular job. Each invoice should be cross-checked with the associated customer account in order to increase customer satisfaction through accurate billing and to decrease labor expenses caused by invoice corrections. Once invoices have been validated they are transferred to an individual or department for payment processing. It is absolutely essential that the individual responsible for validating invoices not have access to payment funds. This system of checks and balances ensures that employees don't have the opportunity to forge checks, pay non-existent or falsified invoices, or carry out other dishonest practices. When statements arrive or are sent, they should be cross-checked with each customer or vendor invoice to ensure accuracy. Businesses operating on a strictly manual basis need to implement an effective filing system; all invoices must be copied if necessary and filed under the customer or vendor name. When statements arrive, a separate individual or department should verify that each charge and payment appears accurately on the statement. Separating the statement validation department from the invoice and payment departments ensures further accuracy and discourages dishonest behavior.